K&H PREMIUM QUALITY: The K&H Outdoor Heated Kitty House is the original Outdoor Heated Kitty House, don’t be fooled by low quality imitations! 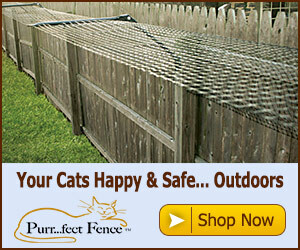 K&H invented this product and design for ease of assembly and superior comfort for outdoor cats. PATENTED AND PROVEN: The featured 20 watt MET Safety Listed and Patented Lectro-Soft Indoor/Outdoor Heated Bed inside the K&H Outdoor Heated Kitty House keeps your kitties warm all winter long, even in sub-zero temperatures. The Lectro-Soft is thermostatically controlled by an internal preset thermostat to safely keep your pets warm. No other heated house on the market offers the soft, comfortable, PATENTED warmth of the K&H Outdoor Heated Kitty House. INSULATED AND WEATHER RESISTANT: The exterior surface is constructed of 600-denier Polyester, making this product water/weather resistant. The solid roof and walls really help keep your kitty comfy and ensure years of quality service! The K&H Outdoor Kitty House is available in both heated and unheated models and is the original Outdoor Heated Kitty House, don’t be fooled by inferior imposters! K&H products are made with high quality materials for your pet’s comfort and your family’s safety. This heated house is excellent for use in barns, garages, porches, and anywhere your indoor/outdoor cat need additional warmth and protection. The included 20 watt MET Safety Listed and Patented Lectro-Soft Indoor/Outdoor Heated Bed inside the K&H Outdoor Heated Kitty House keeps your kitties warm all winter long, even in sub-zero temperatures. The PATENTED K&H Lectro-Soft is thermostatically controlled by an internal preset thermostat to safely keep your pets warm. The K&H Outdoor Heated Kitty Houses are made with 600 denier polyester that makes it water/weather resistant. The walls and roof are insulated to protect your kitty from the harmful elements of winter. The roof of the K&H Outdoor Heated Kitty House hangs over the 2 doors to keep cats warm, safe and dry. The K&H Outdoor Heated Kitty House features two exits with removable plastic flaps so pets cannot be trapped by predators and yet still have sufficient protection. It’s easy to assemble; with hook & loop fastener walls and a zippered roof no tools are required. It’s no wonder this is a top selling item! Product includes manufacturer’s one year limited warranty. This product has been rigorously tested and is certified by MET Laboratories to exceed USA and Canadian electrical safety standards. Don’t be fooled by inferior electrical products that have not been tested and certified by an accredited nationally recognized testing laboratory. PROTECTED EXITS: The two exits include removable clear door flaps to hold in the warmth and help protect kitty from the elements during a storm. ELECTRICAL SAFETY LISTED: This product has been rigorously tested and is certified by MET Laboratories to exceed USA and Canadian electrical safety standards. Don’t be deceived by electrical products that have not been tested and certified by an accredited nationally recognized testing laboratory.